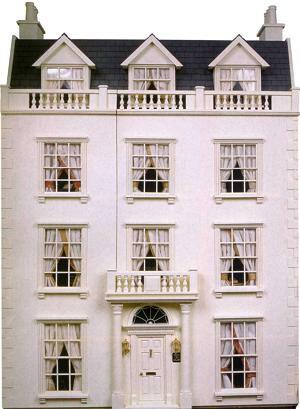 Sara’s Georgian style doll’s house is from Anglesey Doll’s Houses, but made to custom measurements, as the house she really liked from their standard range wouldn’t fit in her house! 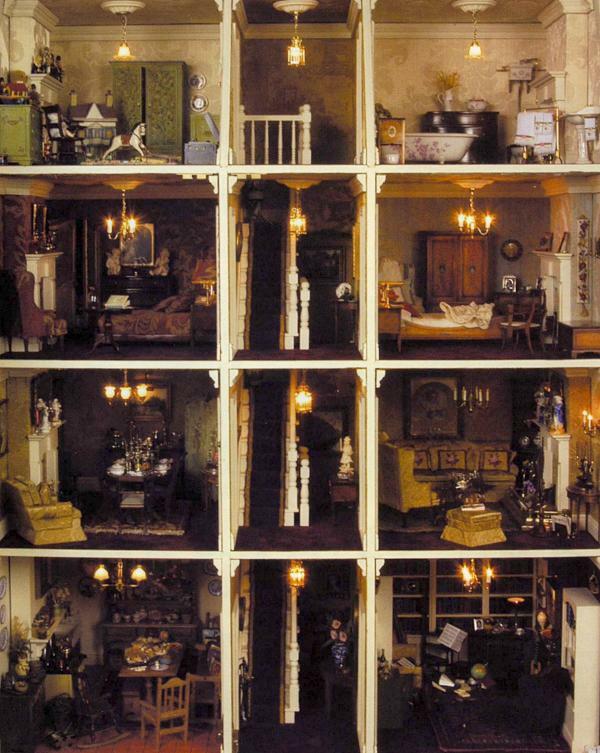 It is wonderfully furnished, and contains many old pieces of doll’s house furniture and accessories. The nursery features a Carole pastel carpet, heaped up with good quality toys, just waiting for some children to come and play! 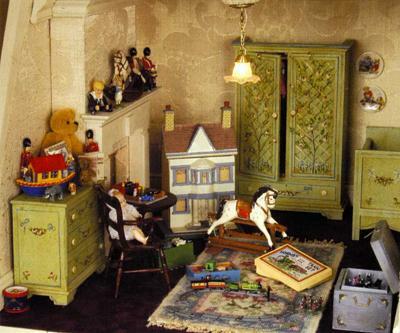 The wardrobe, chest of drawers and cot in this room were painted as one-offs for Sara by an artist. 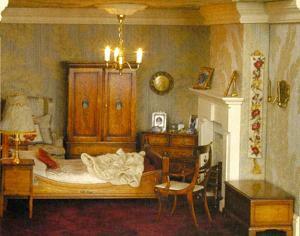 This gorgeous bedroom has a Summer Roses bellpull at the side of the fireplace. 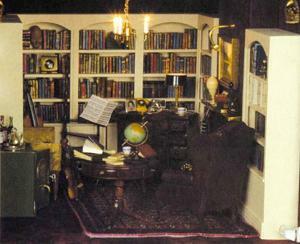 The carpet design called Tara is featured in this room, adding to the heavy look of the library.